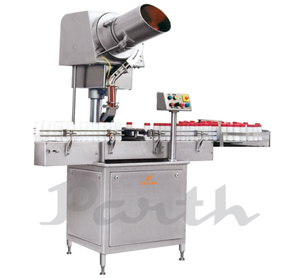 Parth Engineers & Consultant offers screw capping machine in numerous variants tailored to meet various requirements. 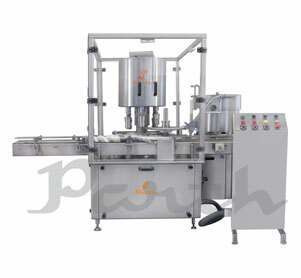 Screw capping machines, that are used to cap bottles, have a wide variety of application in numerous industries. 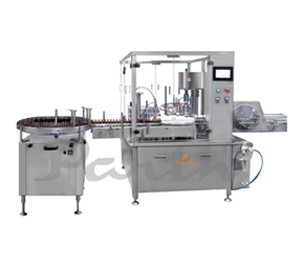 We supply Automatic 1/4/6/8/12 head screw cap sealing machine, Linear screw capping machine and eye/ear drop filling nozzle fitting screw capping machine. The elegant Matt Finished body provides the machine with a gleaming look. The machine consumes less power and generates sound at lower decibel range making the long hour applications trouble-free. 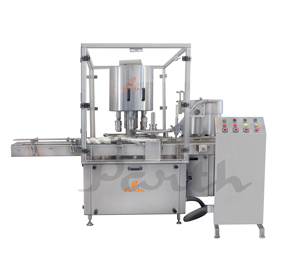 The exposed parts of the linear screw capper machine are being chrome-plated making it corrosion free thus prolonging its life. 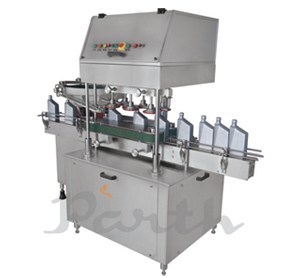 Eye Drop Filling Machine – Ear Drop Filling Nozzle fitting Screw Capping Machine PLIS-40.